Peppermint essential oil provides a familiar, recognizable scent, but Peppermint is so much more than just a nostalgic, fresh aroma. 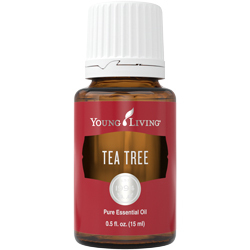 This oil can be diffused to create a stimulating, focused atmosphere for daily tasks. You can also apply it topically to create a cool, tingling sensation on the skin, which can be very soothing after hard physical activity. We recommend using Peppermint essential oil aromatically or topically anytime you want to add a pleasant variety to your routine! 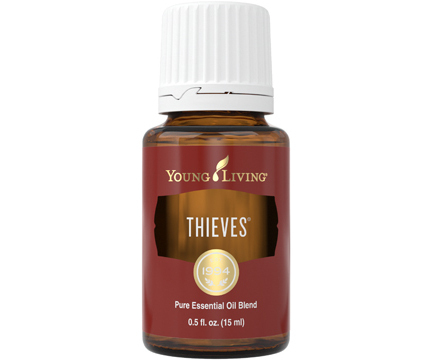 From the bottle: Refreshing, cool, minty, herbal aroma. 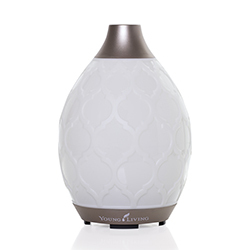 Diffuse Peppermint while working or around kids while doing their homework for an environment that is focused and energized. Add Peppermint to hot bathwater and enjoy the revitalizing scent and soothing aromatic steam. Inhale or apply it to your chest before and during a tough workout for a stimulating scent. 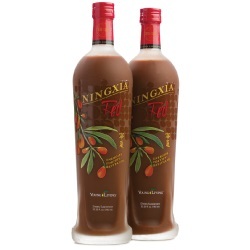 Apply it topically to fatigued areas following physical activity for a cooling sensation. Put focus first in study areas with this crisp, cool aroma. Wake up shared family spaces first thing in the morning by infusing them with this icy scent. Refresh your cooldown space after a vigorous workout with its chilling fragrance. Peppermint essential oil has an invigorating aroma that can help create a focused environment when diffused and can create a cooling sensation when applied topically, especially after physical activity. Topical: Dilute 1 drop with 4 drops of V-6™ Vegetable Oil Complex or olive oil. Test on a small area of skin on the underside of your arm and apply to desired area as needed. Aromatic: Diffuse up to 10 minutes 3 times daily. CAUTIONS: Keep out of reach of children. For external use only. Keep away from eyes and mucous membranes. If you are pregnant, nursing, taking medication, or have a medical condition, consult a health professional prior to use. Not intended for use on infants. Peppermint is originally from Europe, but 75 percent of the world’s supply is now grown in the United States. To produce one of Young Living’s most popular oils, we look to several farms, including the Young Living Lavender Farm and Distillery in Mona, Utah. One 15 ml bottle of Peppermint essential oil is created by steam distilling 1 pound of the leaves and flowering tops of the peppermint plant. Peppermint is a key ingredient in PanAway®, Cool Azul® Pain Relief Cream, and Deep Relief™ Roll-On. 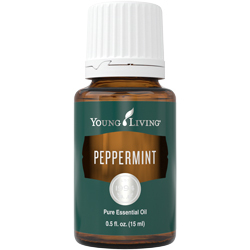 YL REGION: The majority of Young Living Peppermint essential oil comes from the U.S.
Peppermint essential oil joined the Young Living family in 1994.